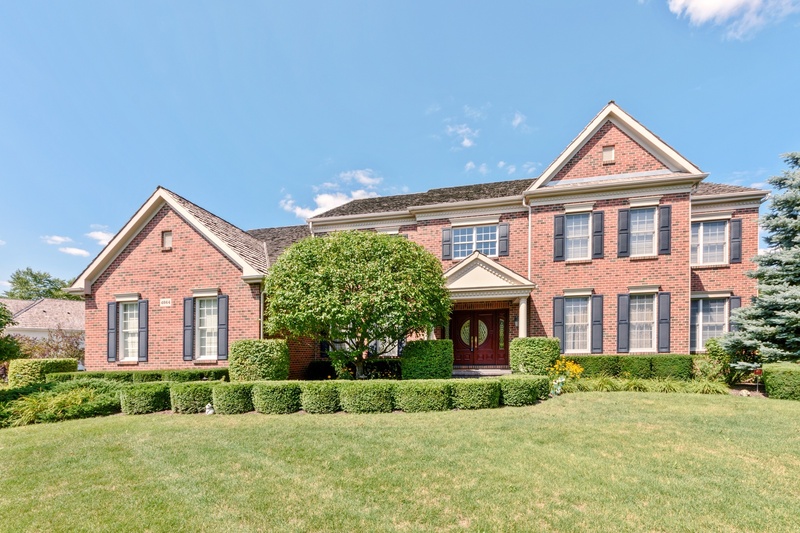 GORGEOUS HOME IN ONE OF LONG GROVE'S MOST SOUGHT AFTER NEIGHBORHOODS. THIS STUNNING HOME SITS BEAUTIFULLY ON A LUSH PROFESSIONALLY LANDSCAPED CUL-DE-SAC LOCATION. GRACIOUS TWO STORY FOYER WELCOMES YOU AND UNFOLDS INTO A FORMAL LIVING AND SEPARATE FORMAL DINING ROOM. FABULOUS GOURMET KITCHEN AND DRAMATIC TWO STORY BREAKFAST ROOM OVERLOOKS A HEATED SUNROOM. THIS FABULOUS SUNROOM FEATURES A WALL OF WINDOWS WITH FABULOUS VIEWS, SLATE FLOORS AND A FIREPLACE. GENEROUS SIZED FAMILY ROOM IS PERFECT FOR ENTERTAINING. FIRST FLOOR OFFICE. LARGE LUXURY MASTER SUITE WITH SITTING ROOM & WHIRLPOOL BATH. LOWER LEVEL REC ROOM IS AMAZING! FEATURES GAME AND MEDIA ROOM, WET BAR, BEDROOM AND FULL BATH. OPEN STUDIO SPACE PERFECT AS A WORKOUT ROOM OR DANCE STUDIO. NEWLY INSTALLED PLUSH CARPETING, FRESHLY PAINTED IN WARM GRAY TONES. CENTRAL AIR AND FURNACES 2017. SUNROOM HEATED AND COOLED WITH DUCTLESS MINI SPLIT WHICH HEATS AND COOLS DOWN TO -5 OUTDOOR TEMP. AWARD WINNING DIST 96 AND STEVENSON HIGH SCHOOL. I was searching on Blue Fence and found this listing. Please send me more information about 4864 Pond View Court , Long Grove, Illinois 60047. Thank you. Long Grove Luxury Homes ℠ Copyright © Blue Fence Real Estate, Inc. All Rights Reserved. Corporate Office: Lake Forest, IL. Illinois Real Estate Brokerage Corporation. All information on this site is from sources deemed reliable but not guaranteed. No representation is made as to the accuracy thereof, and such, information should be personally verified through personal inspection by and/or with the appropriate professionals. All square footage, dimensions and lot sizes are approximate. Blue Fence supports Equal Housing Opportunity and the Fair Housing Act.